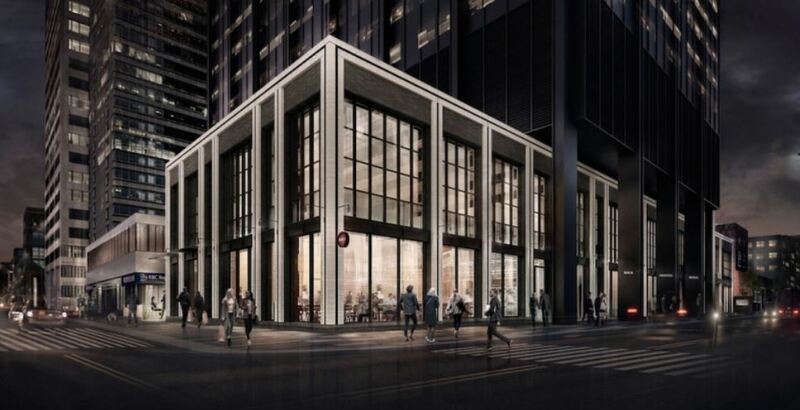 King Street Food Company will be opening a new Buca restaurant at the northwest corner of Yonge and St. Clair in 2018. The move was revealed by Slate Asset Management, a development company that has invested heavily in the neighbourhood acquiring 10 properties. Arlin Markowitz, Alex Edmison & Jackson Turner of CBRE represented the Landlord in this transaction. Buca is one of the city’s top restaurants helmed by chef Rob Gentile, who opened the first Buca on King Street West in 2009, as well as Yorkville’s Bar Buca in 2012. The restaurant is one of many high-profile ventures by the King Street Food Company, a group of restaurants that also includes Jamie’s Italian and La Banane. The move is part of a podium redevelopment plan at the 2 St. Clair West site that includes numerous moves meant to enhance the public realm in the neighbourhood. Slate has already undertaken a number of initiatives to revitalize the area including last year’s massive mural by acclaimed UK street artist Phlegm.